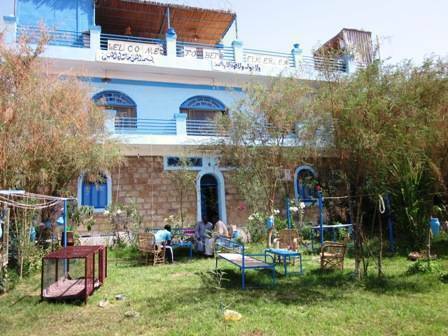 The only guesthouse on the Westbank in Aswan! Quiet, at the edge of the Nubian villages, in front of the pharaonic Tombs of the Nobles, Nile and desert view. Peaceful atmosphere, friendly and hospitable staff. Two floors, 9 rooms, beautiful garden and roof terrace with restaurant facility. 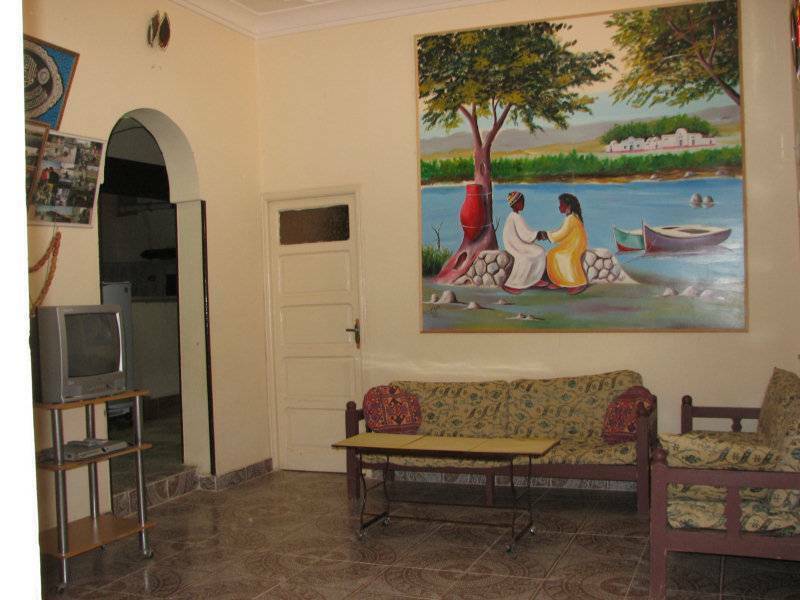 Top location; on walking distance from the local ferry boat; you are in 10 minutes in Aswan centre. We arrange airport transfer from Aswan and Luxor airport and from the railway station Aswan. Bike rental, camel and boat trips; walking trips, excursions to the pharaoh temples and tombs in and around Aswan. Day trip to Ramses temple in Abu Simbel. 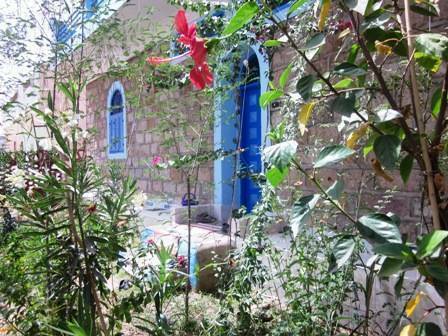 Nubian cooking class, music workshops and creative painting workshops with a local artist. Peaceful atmosphere, friendly and hospitable staff. Two floors, 9 double rooms, beautiful garden and collective roof garden with restaurant facility by our private chef. 9 rooms: 3 with double bed, 5 twin rooms, 1 family room. 4 ensuite rooms, 4 rooms share shower and toilet with max. one other room. 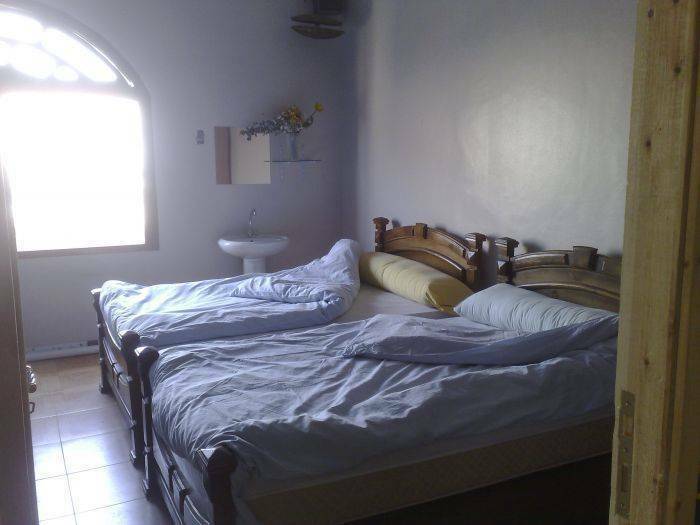 Family room: a double bed and two single beds. Do you like to experience a completely different Egypt? Here is your chance! Experience Nubia offers a unique concept by exploring the Nubian area around Aswan, included Nubian house rental and rooms in our guesthouse: comfortable private houses and rooms in the Nubian village. This means tourists live with the local Nubian population (in pharaonic history "the black pharaohs"), who will welcome you as one of them, not as a tourist. 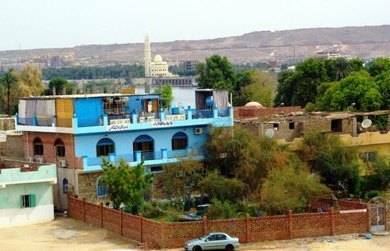 Although the local ferry takes you to Aswan centre in 15 minutes, living in a Nubian village feels like being far away from the mass tourist resorts. This is highly appreciated by our clients. They learn about the Nubian culture and traditions and find back what is lost in the modern European life style: a relaxed atmosphere and a warm social community life. 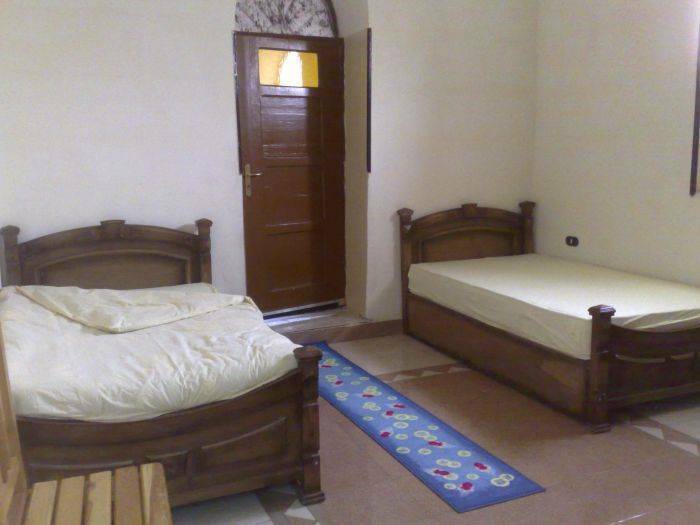 The rooms and houses we offer are located in the Nubian villages of Aswan, on the West bank of the river Nile. The Nubians are hospitable and modest. You’ll really feel home in this relaxed African atmosphere. Nearby you’ll enjoy the beautiful nature of the desert, the Nile River, botanical gardens, pharaonic temples etc. In the centre of Aswan you’ll feel the typical mix of the Arabic and African cultures, with makes Aswan a very interesting place to stay. Located on the roof terrace of our guesthouse. Variety of dishes; buffet by our private chef, also vegetarian meals and local specialities.